Founded in 2014 by beauty industry veteran Suzanne Roberta and entrepreneur Donald Meyer, Adesse aims to reinvent beauty products with a natural skin care approach. The philosophy behind Adesse is marrying high performance ingredients with advanced science to solve real problems for real women. Many nail products contain harsh and toxic ingredients which cause damage and premature ageing of the nails. 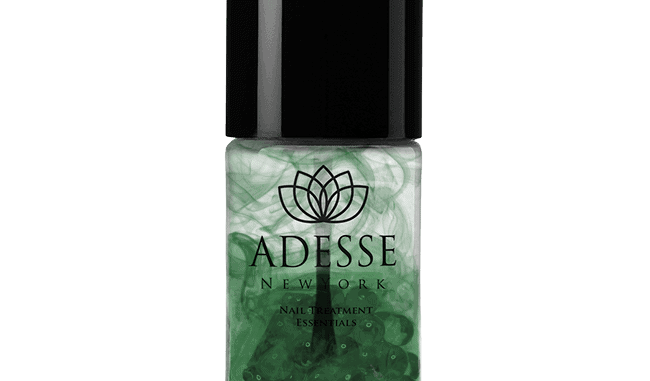 To address the absence on the market of healing treatments, Adesse developed their Age Defying Nail Treatment collection to offer a complete solution to cleanse, prime, nourish, and strengthen the nails. The Adesse nail colours are completely vegan, cruelty free and free from the most harmful ingredients often used in beauty products. Enriched with essential oils, the long-lasting nail polish collection made with organic and natural pigments. In 2017, Adesse launched a Multi-Tasking Lip Collection with a similar approach. The paraben and preservative free, cruelty free and vegan collection features effective treatments, lipstick formulations, waterproof gel liner, gloss and multi-use lip and cheek stick. They contain high quality ingredients, like Cupuaçu Butter, Illipi Butter and Mongona Oil. Adesse will be arriving to Amazon UK in the coming weeks.